There are many ways to propagate plants, from starting with seeds to rooting cuttings from the stems or leaves of adult plants. Propagating ivy from cuttings is usually successful, as the cuttings readily root and grow into mature clones of the parent plant. Both vine and bush ivy varieties grow well from cuttings. By using stem cuttings to grow ivy, you can quickly and inexpensively add plants to your landscaping with only the investment of a little time. Fill an 8- to- 10-inch pot with one part peat moss and one part perlite. Water the mixture so it is evenly moist but not soggy. Inspect the ivy plant for new, healthy stems. Cut off 4 to 6 inches from a newer stem on the plant with a pair of clean shears, then strip off any leaves or leaf buds on the bottom one-third of the stem, near the place where you cut. Insert the cut end of the ivy cutting into the peat mixture in the pot just deep enough to hold the cutting upright. Place additional cuttings in the pot, spacing them 2 to 3 inches apart. Set the pot inside a plastic bag and seal closed. Place in a warm, brightly lit area away from direct sunlight to root. Check the cuttings after two weeks. Gently tug on each cutting and if you feel resistance, it has rooted. If not, leave in the plastic bag for an additional week or until the ivy roots. 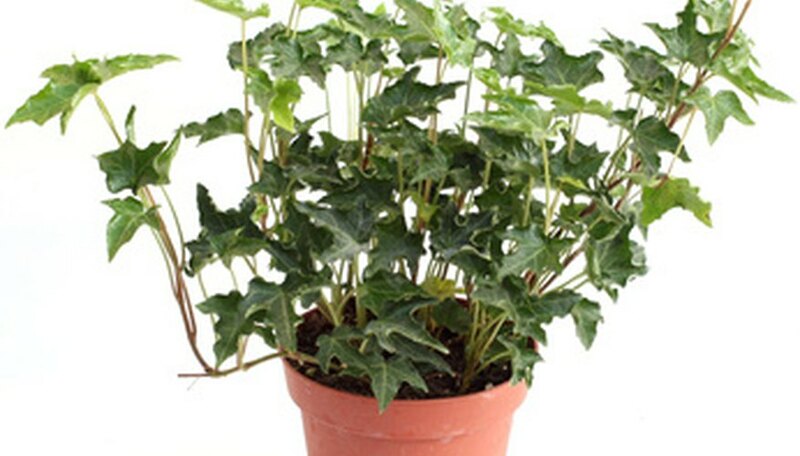 Propagate ivy from new stems in the spring, or from last year's stems in late summer. Take cuttings in the morning when the stems are full of water and not under any heat stress from the sun. Use a commercial rooting hormone to help ensure each ivy cutting successfully roots. The cuttings will die if they dry out in the plastic bag. Water as needed to keep the soil moist. The peat mixture is likely drying if no condensation is visible inside the bag.